Once liability has been established, it is then incumbent upon the plaintiff to prove each and every element of damages that they claim arise as a result of injuries sustained in an accident. With regard to medical injuries a plaintiff often must have a treating physician or other medical expert testify about the nature and extent of the injuries, the causal relationship of the injuries to the accident, the fairness and reasonableness of the medical bills incurred, the necessity of the medical treatment and the reasonable and fair time for the plaintiff to have been off work as a result of the injuries. The jury will be told that they must only award damages that will fairly compensate the plaintiff for his/her injuries and should not be based upon guesswork. In other words, damages can not be speculative, remote or uncertain. Rather all damages must be proven to a standard that is known as to a reasonable degree of medical probability or certainty, depending upon the jurisdiction. In an accident case or malpractice claim a plaintiff is entitled to be awarded damages for bodily injury. The jury is asked to consider many factors which include: the personal injuries sustained and their nature and duration, the effect the injuries have on the overall physical and mental health of the plaintiff, the physical pain and suffering and mental anguish of the plaintiff, disfigurement and resulting humiliation or embarrassment, medical and other expenses attributable to the injuries sustained, past and future loss of earnings. If loss of wages, wage earning capacity or medical bills incurred in the future are to be considered by a jury as elements of damage, it may be necessary to retain the services of expert witnesses such as an economist, life care planner and/or vocational rehabilitation expert to properly present the evidence to a jury. Often, the plaintiff may be required to reduce future losses to what is known as present value in order to properly present such damages to a jury. An experienced accident lawyer or medical malpractice lawyer would help you develop your claim and prepare your claim to present it to a jury. 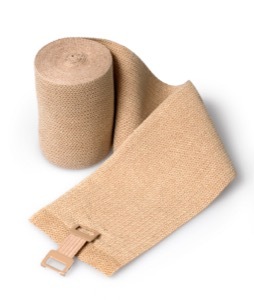 An injured party does have an obligation to minimize their damages to the extent possible and reasonable. It would be the burden of the defendant to prove that the plaintiff did not attempt to minimize damages. Often an expert witness is required in order to prove damages. Usually, this expert is the treating physician. Almost all expert witnesses require a fee for their time to testify in a case. Cases filed in circuit court most likely will require a retained expert to provide necessary testimony regarding the causal relationship of the injuries to the accident, and the fairness, reasonableness of the medical bills and the necessity of the medical treatment. If a case is filed in the United States District Court, particular attention must be given to the Federal Rules, including the local rules which require written disclosure of any retained expert opinions. In the event an expert is asked to review records and/or bills in addition to their own records and will be asked to testify concerning same, it is likely that disclosures required by the rules will need to be provided. It is always the burden of proof for the Plaintiff in any litigation to prove that the damages claimed were caused by the defendant's negligence. If multiple persons are negligent in the same accident, each would be responsible for the damages incurred. In the event a person is injured in an accident and at the time of the accident they had a particular medical condition that preceded the accident, damages would be allowed for the aggravation of the previous condition. This means that they cannot collect damages for the preceding medical condition but they can collect damages for any worsening or aggravation of that condition. Similarly, a person who suffers from a particular condition at the time of an accident which condition is subsequently worsened as a result of the accident, that person is entitled to collect damages for the aggravation of or worsening of that condition. This often happens when a plaintiff is involved in numerous accidents over the years and each accident aggravates a previous condition. 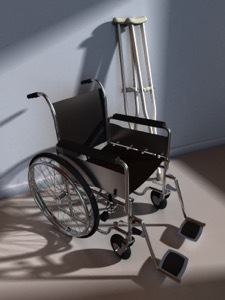 An experienced accident attorney would help develop your case and obtain the required proof for making a claim for aggravation of a pre existing condition. Even if a person is particularly susceptible to injury because of some prior or underlying condition, this fact should not affect the amount of damages to which the person would be entitled. A defendant who injures another person is responsible for the injuries sustained even if the injuries may have been less if inflicted on another, stronger person. An experienced accident attorney would help develop your case and obtain the required proof for making a claim that you were uniquely susceptible to injury. Another element of damages for the plaintiff, if proven, is what is called pre impact fright. If the plaintiff suffers from emotional distress and mental anguish between the time when the plaintiff realized that an accident was about to occur and the actual occurrence, the plaintiff may be able to claim damages for any pre impact fright as a result. Often, automobile accidents do not involve pre impact fright because the happening of the accident is so close in time to the realization, if any, that an accident is about to occur. There are cases where a person does not need to be the individual actually physically injured in order to recover damages. In the event a person is in what is called the zone of danger, he/she may be entitled to claim damages for emotional distress and mental anguish provided it is proximately caused by the wrongful act of a defendant and it either results in physical injury or is capable of objective determination. For example, a mother who watched her son get mauled and killed by a pit bull dog was entitled to recover for the emotional distress she suffered before he died. She would also be entitled to wrongful death damages as described elsewhere herein. The key to damages in these cases is that there must be some objective manifestation of mental distress absent any physical damages. Under Maryland law, a husband and wife are entitled to claim damages for injuries sustained to their marital relationship as a result of an accident. This claim is often referred to as loss of consortium. We usually advise clients not to proceed on a loss of consortium claim if the loss is minimal. We find that juries are somewhat skeptical about these claims. Moreover, such a claim often leads to embarrassing questions in court that married couples do not wish to share with others. In any event, the damages might include their loss of companionship, affection, assistance and loss or impairment of sexual relations. It is important to note that under Maryland law a loss of consortium claim is a joint claim and must be claimed by both parties. One of our Maryland personal injury attorneys can explain your potential claim for loss of consortium to you. In the District of Columbia loss of consortium can be claimed by only one of the parties. One of our District of Columbia personal injury attorneys can explain your claim for loss of consortium to you. We are often asked about punitive damages. Plaintiffs are often angry that an accident occurred and are hopeful that they can obtain an award of punitive damages as a result. In automobile accident cases, punitive damages are rare at best and, most likely, not available. Under present Maryland law, one must prove intent to injure, ill will or evil motive to obtain punitive damages. Accordingly such damages are virtually non-existent in automobile accident cases since most of these cases involve simple negligence. Often there are conflict of law issues that arise in a personal injury claim. Sometimes there are choices where to file a lawsuit, particularly if an at fault driver lives in one jurisdiction but the accident occurs in another jurisdiction. 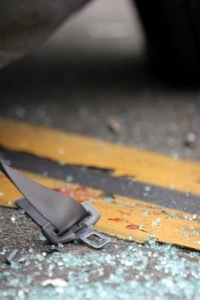 If a D.C. resident causes the death of a Maryland resident in an automobile or truck accident, it may be important to decide in which jurisdiction the Plaintiff will want to file suit. If Maryland law applies, there could be solatium damages for the grief claim which do not apply in D.C. On the other hand, in D.C. there is a claim for economic loss that goes over the expected lifetime of the deceased whereas it stops at the date of death in Maryland . Thus, if the economic loss is large enough, it may be wise to file suit in D.C. if possible. Similarly, there is a statutory cap on non economic damages in Maryland that does not apply in D.C. Thus, if the pain and suffering damages in the case are substantial, it might be advantageous to file the claim in the District of Columbia. One of our personal injury lawyers can explain which jurisdiction best fits your case. Maryland's statutory cap on non economic damages can significantly reduce the value of a catastrophic case in Maryland . The cap is not the same for every case because of various modifications to the law passed by the legislature. Therefore, it becomes important for the experienced personal injury lawyer to understand the multiple amendments to the statute, apply the statute in effect at the time of each claim, and understand the various permutations and combinations that might be involved in each case. Moreover, the cap differs for cases involving medical negligence and cases not involving medical negligence. In addition, the statutory cap on damages will change depending on the number of claimants. Initially, where the cause of action for personal injury or medical negligence arose after July 1, 1986 , the cap for was $350,000 and it did not apply to wrongful death cases. As of October 1, 1994 , the cap increased to $500,000 for personal injury or medical negligence cases and in wrongful death cases where there was one claimant. For wrongful death cases where there was more than one claimant the cap became $ 750,000. Generally, accounting from October 1, 1995 , the cap for non economic damages increased by $15,000 each year for personal injury cases not involving death, for wrongful death cases with one claimant, for medical negligence cases not involving death, for medical negligence cases involving death where there was one claimant. For personal injury cases involving death with more than one claimant and for medical negligence cases involving death with more than one claimant, the non economic damages statutory cap increased by $ 22,500 each year. Beginning January 1, 2005 the statutory cap for non economic damages was again modified by the legislature. From January 1, 2005 - December 31, 2008 the cap for personal injury cases not involving death, medical negligence cases not involving death, personal injury cases involving death where there was only one claimant and medical negligence cases involving death where there was only one claimant became $ 650,000. In addition, for personal injury cases involving death with more than one claimant and medical negligence cases involving death where there was more than one claimant, the cap became $ 975,000. As of January 1, 2009, the statutory cap on non economic damages for personal injury cases not involving death, medical negligence cases not involving death, personal injury cases involving death with only one claimant and medical negligence cases involving death with only one claimant, the cap shall be $ 665,000 thereafter. Similarly, as of January 1, 2009, for all personal injury cases involving death with more than one claimant and medical negligence cases involving death with more than one claimant the cap becomes $ 831,250. This is a very difficult area of the law and the summary provided herein should not be used as the final figure to be relied upon for cap figures. There will be variances from this general summary depending on circumstances. There is no separate cap for loss of consortium cases because that has been deemed to be a derivative claim under Maryland case law even though it requires both husband and wife to make the claim jointly. Moreover, the cap applies to all plaintiffs in any wrongful death action, not to each plaintiff, whether it is a personal injury claim or a medical negligence claim. There is no cap under Maryland law for what is known as economic damages such as future loss of wages, future medical bills and medical care and such other economic losses that may apply. One of our Maryland personal injury lawyers or Maryland medical malpractice lawyers can explain the cap as it applies to your case. When a person is involved in an automobile accident, an experienced accident attorney can assist in obtaining the best recovery possible regarding damages to the vehicle involved. We usually recommend that the property damage claim be made against the insurance policy of the at fault party. In this way, there would be no payment required for deductibles under our client's own policy. A claim can always be made under the plaintiff's own automobile insurance policy assuming the plaintiff had collision coverage. If a claim is made under the collision coverage of the plaintiff's own insurance policy, the plaintiff will be responsible for the payment of the applicable deductible under the terms of the policy. In the case of an older vehicle, where it may not be reasonable to have collision coverage or if the plaintiff chooses not to pay for collision coverage, the only available alternative is to present a claim under the defendant's automobile insurance policy. The insurance company paying for repairs is required to restore the damaged property substantially to the condition immediately before it was damaged. Moreover, the plaintiff is also entitled to obtain a rental vehicle if available under the terms of their own policy or if the defendant's insurance company agrees to pay for damages. These issues often become problematical since insurance companies always attempt to minimize their losses. Accordingly, it is important to have an attorney who will fight for you when the insurance company becomes difficult. It is important that the plaintiff understand that most insurance companies have limits beyond which they will not voluntarily pay for rentals. One cannot simply choose to rent an expensive vehicle just because their own vehicle is in for repairs. Similarly, insurance companies do not allow rental endlessly. There is a reasonableness test to determine whether the rental is beyond what would be normal for repairs. 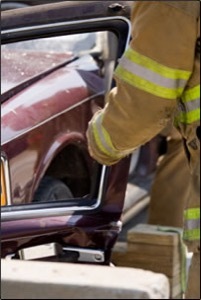 In the event a vehicle is declared a total loss by the insurance company, there is often a dispute as to the value of the total loss. We find that insurance companies are using every possible way to reduce what they should be required to pay for a total loss. Sometimes they may attempt to obtain comparable sales from other dealers. There are services that insurance companies use whereby they obtain information about a particular vehicle and they are supplied with actual sales of similar vehicles. They often will not vary from these comparables. Unfortunately, if a plaintiff disagrees with an insurance company's total loss figure, they are required to prove that the figure is inappropriate. This could involve expert witness fees and attorney fees to dispute the loss in court, all of which might mean that the plaintiff could end up with less than what would have been obtained if the insurance company offer had been accepted. Thus, it is important to have an attorney represent you that is willing to negotiate with the insurance company for a better total loss value and is willing to obtain comparables to buttress their argument. With proper documentation, it may be possible to get additional sums from the insurance company for a total loss. There is also a claim that can be made for diminution of value in the event a vehicle has lost value as a result of an accident. Again, this would likely require an expert witness to prove the actual diminution in value. Often, the cost of the expert witness and attorney fees involved would outweigh the likelihood of success of such a claim. Maryland has what is known as the collateral source rule. Under this rule, a jury is advised that they must not consider whether they think the plaintiff is entitled to receive payment for medical bills or lost wages from any other source such as health insurance, paid leave from employment or disability insurance. They must not reduce their award because of any such considerations. Low impact collisions often provide special challenges in proving personal injury damages. Insurance companies and their attorneys often argue that if an impact is not significant, it is unlikely that a person could be injured. They argue that whiplash is not legitimate injury. An experienced personal injury lawyer will know how to convince a jury that the amount of impact to a vehicle does not necessarily translate into the amount of personal injury received. For an insurance company to claim no injury because of an undamaged or slightly damaged bumper is disingenuous at best. Before 1973 there were virtually no energy absorbing bumpers installed on motor vehicles. Today, most vehicles do have these type of bumpers. With energy absorbing bumpers, an experienced personal injury attorney can contradict an insurance company attorney who argues that an undamaged bumper truly reflects the severity of a collision. There are numerous studies and tests that have debunked the oft proposed theories of insurance companies that suggest a low impact cannot do damage to an individual. Insurance companies for years have suggested a theory called Delta V that indicates a person struck at 5 miles per hour or less could not translate into injury to the neck. This is a preposterous argument but one that an inexperienced personal injury attorney may not understand how to contradict, much less effectively cross examine an insurance company accident reconstruction expert. So called biomechanical engineer experts really offer not much more than junk science and can be portrayed that way by an experienced automobile accident attorney. Indeed, an experienced accident lawyer can prove that brain damage can occur with a whiplash injury. Serious nerve damage, TMJ, shoulder impingement, carpal tunnel syndrome, disc injuries in the cervical and lumbar spine and leg injuries can all occur as a result of what some call minor impact cases. It is also well documented that women often have worse consequences than men for the same collision. The whole idea proposed by insurance companies that whiplash injuries are trivial, no worse than falling backwards from a chair, are precluded by bumper to bumper contact and disproved by crash tests that are misleading at best and grossly deceptive at worst. The legal information on this site is not intended to be legal advice. Contact one of our experienced personal injury attorneys or lawyers today to get specific information and answers for your specific situation.